NOTE: MOST trailer sites are already reserved for our 2019 trip. If you are just now signing up and plan to take your trailer, please email Catherine Tolson catherine.tolson@comcast.net and verify that there is a trailer site still available. The 2019 Colorado High Adventure Trip will be held from Sunday thru Saturday, July 14 – 20 at Cascade Campground, located in the Collegiate Peaks area west of the community of Nathrop, Colorado. If you prefer motel accommodations to camping, you can make reservations at nearby motels or bed & breakfasts. The trip is limited to 60 people. The cost of the trip is $175 for campers or $125 for those who choose the motel or B&B option. You will need to complete the Trip Form and include it with your fees. You must be an Ozark Society member to participate in this trip. Only paid trip participants who sign waivers will be allowed to join group-led activities. If you are not already a member, you may join by paying your dues online at www.ozarksociety.net/membership/ or by sending $30 annual dues along with trip fee of $175 for campers or $125 for non-campers. a check made out to the Ozark Society. Meals will be provided for all trip participants, regardless of whether you are camping or staying elsewhere. The meals will begin with dinner on Sunday July 14 and end with dinner on Friday July 19. If you have special dietary needs or preferences, you may need to bring your own food as the menus are planned well in advance of the trip. 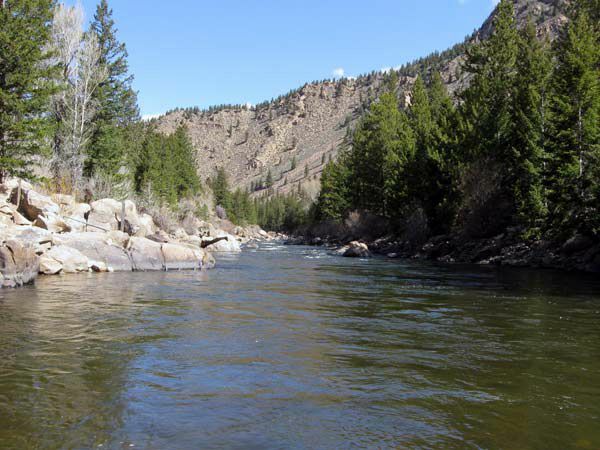 There will be a variety of outings from which to choose: hiking, fishing, mountain biking, horseback riding, sightseeing, and rafting or boating on the Arkansas River. If you plan to canoe, kayak, or bike, you should bring your own equipment. For rafting, you will need to make your own arrangements with a local outfitter. If you have any questions about the trip, contact Catherine Tolson by phone at 318-680-9280 or by email at catherine.tolson@comcast.net.